At A Good Spa Day, everything from our skin care to our massage services are specifically designed to optimize your relaxation needs. Several scents — like lavender, bergamot and jasmine — reduce stress. The benefit, isn’t just for those who are healthy, but also for people with terminal conditions who may suffer from physical ailments caused by overbearing levels of stress. Aromatherapy has a proven success rate in reducing stress levels in people suffering from cancer and other chronic conditions. Pain management is another ailment frequently treated with aromatherapy. An essential oil like clary sage- known for pain reduction attributes, is particularly popular for relieving menstrual cramps in women. Though some attribute this success to a placebo effect, we know the most important result is how you feel. Aromatherapy helps users feel better and we think that’s all that matters. Patients with hypertension (high blood pressure) also see results from aromatherapy. Because blood pressure is directly correlated with stress, aromatherapy would be beneficial in its reduction. For those fighting depression or anxiety, aromatherapy is key. Oils like citrus and other vibrant smells have uplifting attributes. 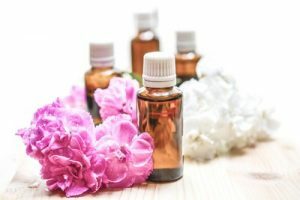 When a few drops of these essential oils are combined with a soothing massage, they can work wonders in combatting depression. Are you interested in learning more about aromatherapy or any of our other beauty spa services available? Call the friendly staff at A Good Spa Day and schedule your spa appointment today.